So far this is probably the most interesting story for today. 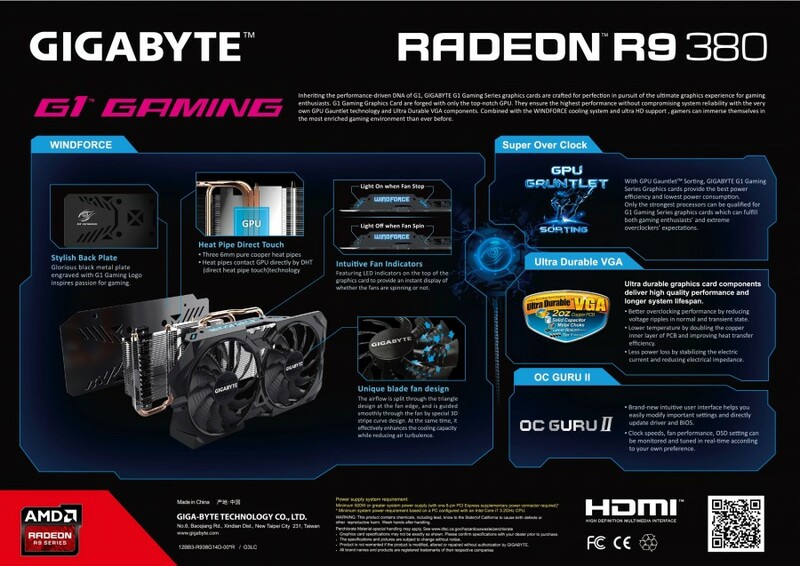 Gigabyte’s marketing materials for Radeon R9 380 have leaked out. The materials are actually a picture of the packaging. How did this got public is impossible to say, but it wouldn’t be surprising if the pictures were leaked by Gigabyte themselves to gain publicity. 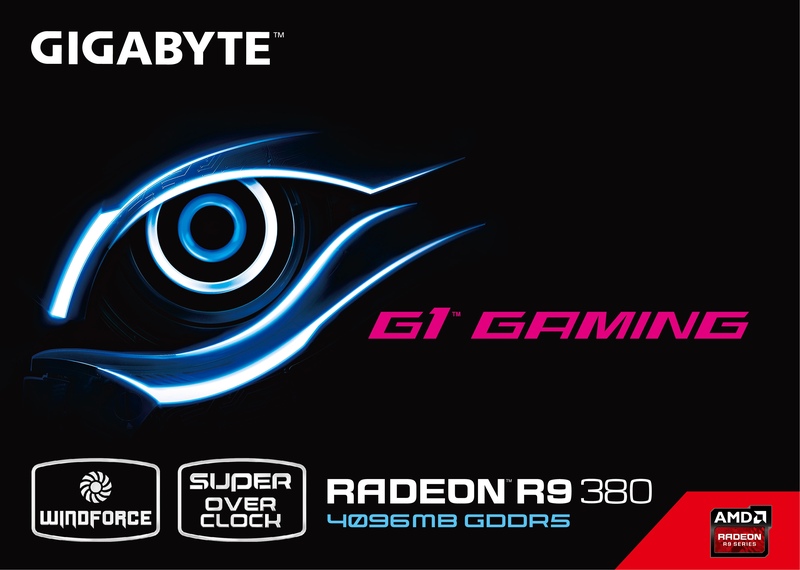 Gigabyte is preparing G1 GAMING Radeon R9 380 graphics card with WindForce 2X cooler. 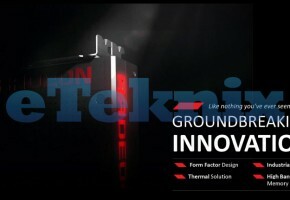 The cooler is similar to the newest WindForce 3X for GTX 980 Ti, only this one has just two fans. This new model also has a backplate with G1 Gaming logo and WindForce LED illuminated logo on the side. 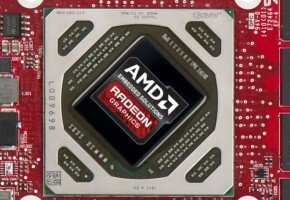 The card comes with 4GB GDDR5 memory on board. 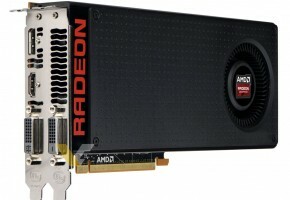 Radeon R9 380 is actually rebranded R9 285 (based on Tonga), so the only difference is addition of 2GB of memory. 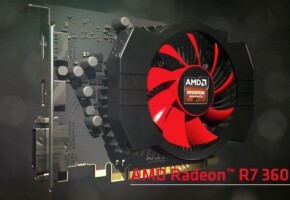 This model is quite possibly equipped with 1792 Stream Cores and we expect to see Radeon R9 380X later with full Tonga unlocked. 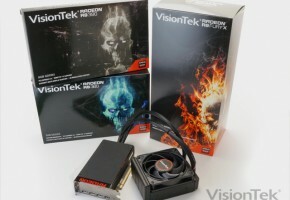 The site also leaked branding materials for Radeon R9 390X and R9 390, both based on Hawaii GPU and both equipped with 8GB GDDR5 memory. 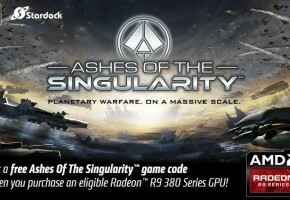 Now I wonder where are all these people who claimed there are no Radeon 300 series (but 400)?